Hi! I have my goal set as "lose 1 lb per week," and I consistently meet the calorie goal/limit but I feel like it's doing the opposite and causing weight gain. 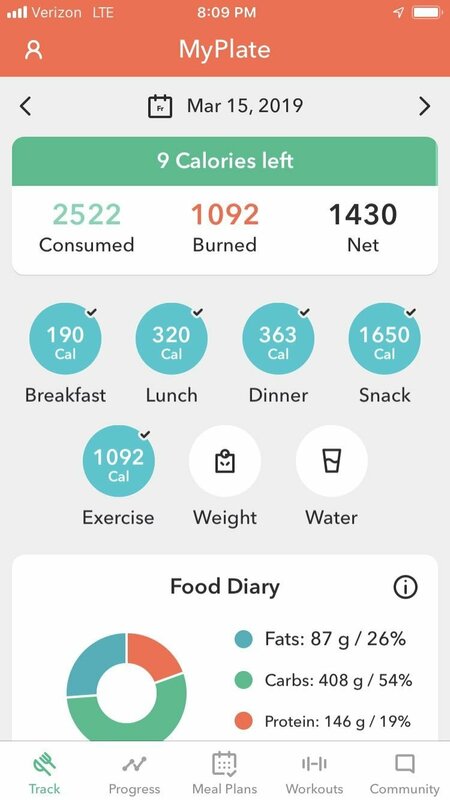 Is the calorie goal accurate? I have my AppleWatch paired and it accounts for the calories burned in this app. I checked to make sure that MyPlate is not tracking my activity in addition to the information provided from my watch. Thank you. If you input everything correctly, yes this app is correct. What is your age, height, current weight and calorie goal? Do you use a food scale, measuring cups and spoons to accurately weigh and measure everything you eat? Can you screenshot your tracking page for us? 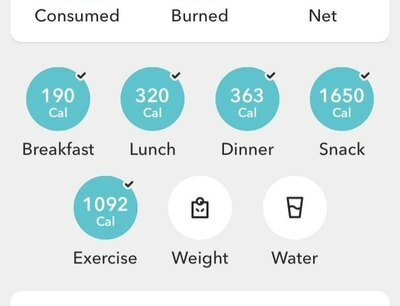 I'm 18, 5 8.5, and my calorie goal currently says 1469 but I usually burn a little over 1,000 active calories (I'm a swimmer) so I eat about 2500-2600. I do not use a food scale but I eat mostly foods with barcodes that can be scanned via the app so I'm pretty sure my tracking is accurate. How much do you weigh? Your calorie goal is actually a little bit low. What do you mean you "feel" like you're gaining weight?